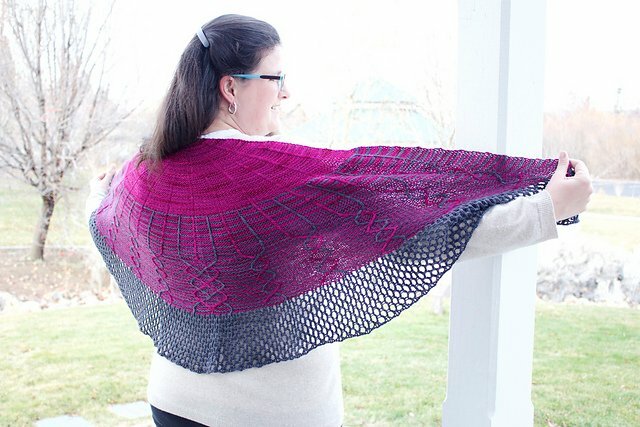 Originally designed in our limited edition Lorna's colorways for August 2014, this shawl will look lovely in any color combination as long as there is a fair bit of contrast between the two colors being used. 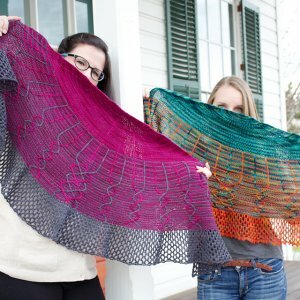 Slipped, traveling stitches are deceptively simple, and create the focal point of the shawl. Knit in sport weight wool yarn, it will be super warm and snuggly, even for the harsh Scottish highland weather! 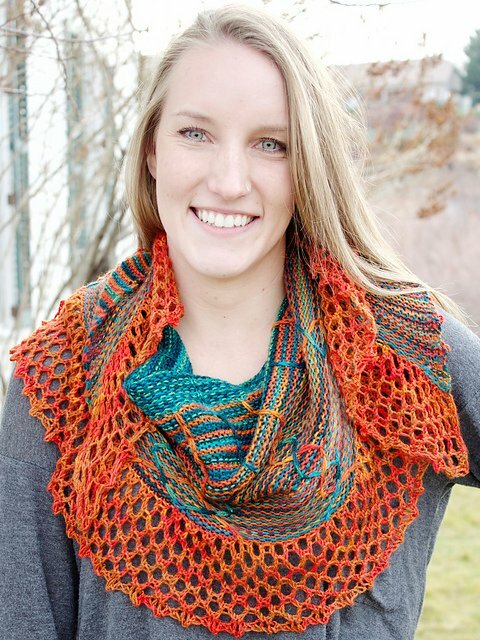 You can also view all Unraveled Designs and Yarn Unraveled Designs Patterns. This Unraveled Designs and Yarn Unraveled Designs Patterns requires a sport (24-26 sts/4 in) yarn. We offer many types of yarn in the sport (24-26 sts/4 in) weight. Some options are listed below, but you can always go to the advanced yarn search page to see all available options. Of course, due to differences in individual knitting styles, you should always measure your gauge prior to beginning any project.